Grace Century screens Start-ups with breakthrough technologies and innovations presenting to Venture Capital, Private Equity, and other "Angel" based groups. Dubai, United Arab Emirates, April 19, 2017	(Newswire.com) - The Annual Investment Meeting (AIM) Start-up 2017 kicked off in Dubai, under the patronage of his Highness Sheikh Mohammed Bin Rashid al Maktoum, Vice President and Prime Minister of the U.A.E. and Ruler of Dubai. 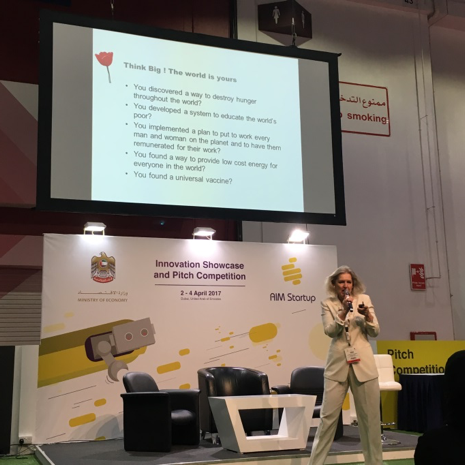 The 3-days event was held with cooperation with the Ministry of the Economy, and attendees were able to network and listen to presentations with multiple speakers from different niches within finance. AIM Start-up is a platform where disruptive Start-ups gather to present their innovative products and services on a truly global stage. The discussions gave a unique insight into the present and future climate that ‘Early Stage" firms might be confronted with. These included many discussions from Building Global companies all the way to the “Do’s and Don’ts” with the interaction of government agencies. The event was highlighted by providing a platform for 84 young companies, from many countries, to have an opportunity to be in front of interested funding partners. Presenting to the groups were Start-ups and early stage firms coming from Food & Beverage, Agriculture, Renewable Energy, Healthcare, and Education.